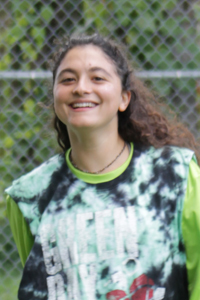 We are excited and proud to announce our Hanhallah (Senior Staff) for kayitz (summer) 2019! 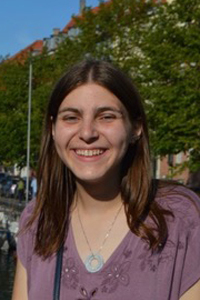 Rosh Kochavim: Sarah Binney — Hey Kochavim! 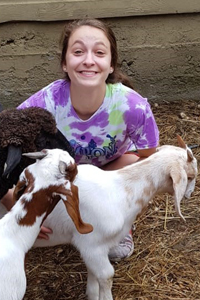 My name is Sarah Binney and I’m so ridiculously excited to be your Rosh Edah for kayitz 2019! I am in my final year at McGill University (all the way up in Canada!) studying linguistics and Spanish. I love tea, puns, noodles, and rainboots, and most of all I love camp. This is my fourteenth summer at Machaneh Ramah and I cannot wait for a phenomenal kayitz together with you, full of rikud (dancing), swimming in the agam (lake), lots of Shabbat brownies, and so many new friends! Rosh Ilanot: Ianne Sherry — Shalom Ilanot! My name is Ianne Sherry and I am so excited to be Rosh Ilanot this kayitz! I started camp as an Ilanot hanicha (camper) waaay back in 2007. Since then I worked as a madricha (counselor) in Ilanot for three years and I was Rosh Solelim last year. I can’t wait to come home to my favorite edah this summer. If you do the math… that makes this my 12th summer at camp and my 5th summer in Ilanot. 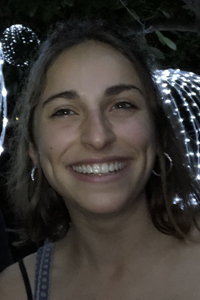 I am from Fairfax, Virginia, and when I am not at camp I am finishing my last semester at Brandeis University where I study Education Studies, Economics, and Judaic Studies. Camp is my favorite place in the world, and I can’t wait to share it with all of you. L’hitraot b’Palmer!!! Rosh Solelim: Yoni Gelb — Hi! 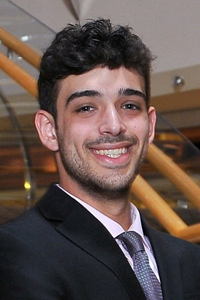 My name is Yoni Gelb and I’m beyond excited to be Rosh Solelim for kayitz 2019! This will be my fourth year on staff, and my first opportunity as a Rosh Edah. Solelim was one of my favorite summers as a hanich (camper ),and I am excited to relive all the fun together with you. I currently attend the University of Wisconsin-Madison where I study mechanical engineering, but I am taking my talents overseas to Denmark for a semester abroad this spring. In my free time I enjoy coaching basketball, cooking, ice hockey, music (Taylor Swift), and Dunkin’ iced coffee. I can’t wait for all the fun that awaits this kayitz! Lehitraot b’Palmer!! Rosh Shoafim: Adina Schwartz — Shalom Shoafim! My name is Adina Schwartz and I’m so excited to be your Rosh Edah for kayitz 2019! I’m a rising senior at the University of Maryland studying psychology, and I just got back from a semester in Copenhagen, Denmark. I love Israeli dancing, knitting, and chocolate chip cookies. This will be my eleventh kayitz at Ramah Palmer, and my fourth on staff, and I can’t wait to spend it with all of you! Rosh Amitzim: Sole Sloan — Hey Hey Amitzim! I am SO excited to be your Rosh Amitzim this kayitz! This will be my fourteenth kayitz at Machaneh Ramah and my fourth kayitz with Amitzim! I’m from Chevy Chase, Maryland, and I currently live in Vermont where I’m studying History and Feminist Studies at UVM! I like to play frisbee, dance, and hang out with my friends! I can’t wait to spend another fabulous kayitz with you all! Rosh Magshimim: Rachel Nassau — Hi Magshimim! My name is Rachel Nassau and I am thrilled to be your Rosh Edah this coming kayitz! This will be my 11th kayitz at camp, and after having taken last summer off, I am so excited to be back! 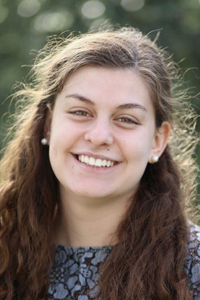 I am from Barrington, Rhode Island and am finishing up my senior year at Washington University in St. Louis, where I study Global Health and the Environment. Next year, I hope to work in public health and eventually pursue medicine. I am looking forward to meeting you all and can’t wait for a fun-filled, amazing Magshimim 2019!! 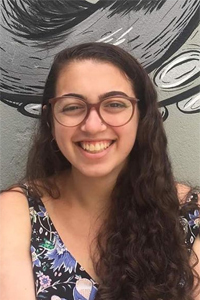 Rosh Bogrim: Tali Glickman — My name is Tali Glickman and I am so excited to be Rosh Bogrim! This is going to be my 16th kayitz at Ramah and my 3rd in Bogrim. I have been a madricha (counselor) for the past 3 years, working with all four Tzad Bet (B-side) edot. At camp, you can find me doing shira (singing) and rikud (dancing) in the chadar ochel (dinning hall), playing basketball in the Beit Am Gadol (BAG) and reading on the migrash (field). When I am not at camp, I am a junior at Northeastern University studying Psychology, Human Services, and Gender studies. This semester I am going to be studying at the University of Sydney in Australia. I love all Boston sports teams (go Pats!!!!! ), Harry Potter, stand-up comedy, and musicals. This kayitz is going to be filled with ruach (spirit), friendship and keif (fun). Bogrim 2019 is going to be the best edah ever! 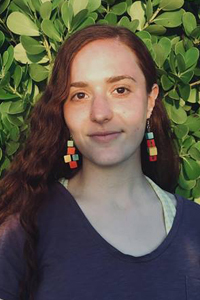 Rosh Machon: Emma Neusner — Hi everyone! I am so happy to be Rosh Machon this kayitz! This will be my fifteenth kayitz at camp, and my third as a Rosh Edah. When I’m not at camp, I’m getting ready for camp! 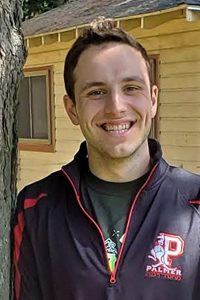 During the fall, winter, and spring, I work as Camp Ramah in New England’s Staff Hiring and Programming Coordinator. I love coffee, dancing, and goats (obviously), and I can’t wait to spend the kayitz with you! Rosh Nivonim: Andy Weissfeld — Hi Nivonim! My name is Andy Weissfeld and I am so excited to be your Rosh Edah this kayitz! I grew up in Pittsburgh PA and moved to Montgomery County, MD with my family almost five years ago. I now live on the Upper West Side in New York City and attend the Rabbinical school at the Jewish Theological Seminary. I have been a Rosh Edah for the past three summers, twice in Ilanot and once in Kochavim. I love swimming, biking, following professional sports, and exploring the fictional universes of Star Wars and Star Trek. I cannot wait to meet all of Niv ‘19 and work together with you to create an incredible experience for kayitz 2019!